Sheryl is awesome! My husband and I both love traveling but hate the planning. We decided to head to Vietnam for vacation but procrastinated on the planning. We contacted Sheryl five weeks out from our planned departure date. She was so helpful. 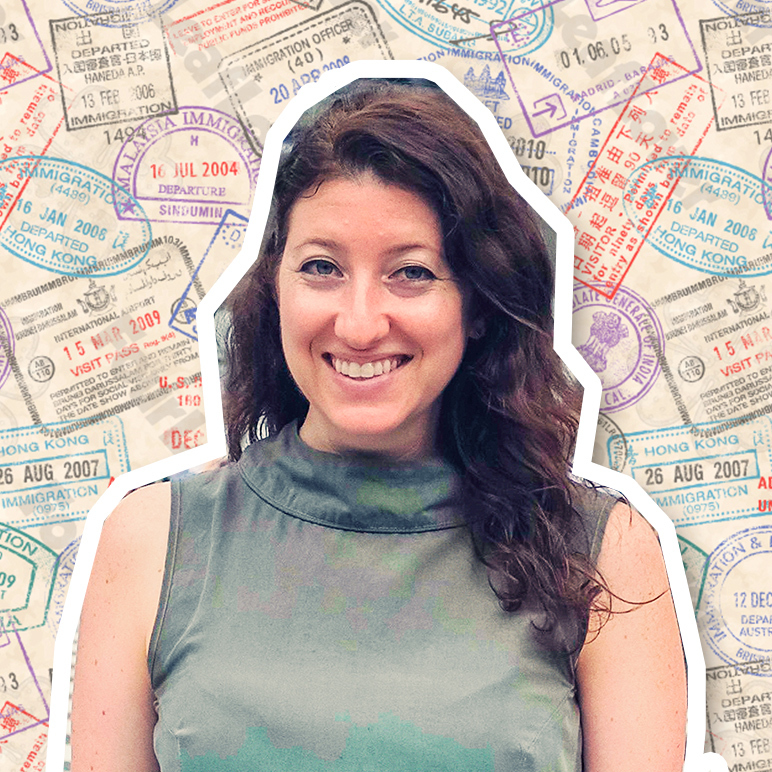 Within a couple days, Sheryl provided us an itinerary, travel options, activity recommendations, and information regarding required visas and vaccinations. In addition, Sheryl shared lodging information, including Airbnb and hotel options, for us to choose from based on the experience we desired. Sheryl made herself available to reassure me that we would meet passport and visa timelines. Sheryl helped us save money by searching different flight options. We are so thankful for Sheryl's help and would recommend her to friends and family. We cannot wait to visit Vietnam very soon! Sheryl helped us plan several weeks in Europe. I consider myself a savvy traveler; I scour the internet for good deals in plane tickets, I read up on neighborhood guides, I compare hotels and AirBnBs. So, I thought, why get help? But Sheryl understood our taste so quickly, gave us a ton of well-researched information, and still let us choose between a couple of options, knowing that we wanted our final choice. And, in doing so, she not only saved us dozens of hours of work, but found off-the-beaten-path stuff for us to do. If you're asking yourself, "is it worth it?" - the answer is YES! There is so much to see in Iceland that it's tough to fit it all in over the course of 11 days, but Sheryl absolutely nailed it! She put together the perfect itinerary that reflected exactly what we had discussed leading up to the trip. She had great insight on how to approach accommodations, transportation, etc. which helped make the experience a breeze. Five stars all the way! For my 30th birthday I wanted to go on a big trip and needed help planning it. It was a challenge to figure out where to go because I'm pregnant and wanted to avoid places with Zika. I gave Sheryl a list of requirements. Holy crap, she sent me a long detailed list of options and gave me reasons on why she chose each one specifically for me, how long it would take to travel there, cost of flight, and ideas of where we might want to stay, all within my budget. She also researched every place where Zika is, and made sure those places were not on the list. Her service is very customized and her work is thorough. I totally recommend her. She is truly a blessing to all that have an opportunity to work with her. I'll admit it - at first I was a bit hesitant about having someone else plan the honeymoon. Then I thought about all the time I'd spend searching for flights alone and how I usually book trips (pretty last minute thanks to years of business travel). As important as booking this trip was for my husband and me, it was always far down the priority list in spending the time to make it happen. Enter Sheryl. After a quick conversation with her she got to work. In just a couple days she had found us an incredible flight deal that even incorporated our request for a layover in another city all for substantially less. Sheryl presented our options in a very easy to understand manner and only took 15 minutes on our part to book our flights! Sheryl truly went above and beyond. She scoped out transportation for us all around, found the top places to go based on what we liked and wanted to do and even presented us with great lodging options in each of the places we are visiting. I would highly recommend Sheryl for any trip you are thinking of taking. Just do it. She does a fantastic job and it shows that she really cares about each of her clients and incorporates what you want in your vacation. I can't wait to take another trip and use the service again! Highly recommended! Yay! When I saw Sheryl was starting Why Not, I thought: Oh that makes perfect sense! I love hearing about her travels, she radiates wanderlust. When I was planning a trip to Mexico, she went out of her way to help me search for places to stay, giving me a thoughtful list of options. What makes her stand out for me personally is that she is not only experienced and adventurous, but she is a woman so understands the extra mile that we have to go when traveling to be safe, even on a budget! Currently traveling in Italy on our honeymoon. Thus far every aspect of our trip has been superb from transportation to accommodation and elements in between and beyond. For a taste of what Sheryl coordinated based on our requests, follow our hashtag #selmosh. This has made our journey seamless! My brother and I have been planning a 2+ week trip to Vietnam with almost no knowledge of the country. Thank God for Sheryl, she was so thorough in tailoring an itinerary to our tastes and helping us maximize each day within a tight timeframe. For two internal flights within Vietnam, she found us cheap tickets on an Australian regional airline with excellent safety ratings - a requirement for me. It’s not listed on Kayak, so I would have never known about it. Sheryl loves travel and it shows. She was excited to plan our trip and pore over the details like it was her own. Now we can start the trip with full confidence in our itinerary. I advise you all to do the same! We normally plan our own vacations however life was getting in the way and we needed some extra help. Sheryl took some criteria and pieced together the trip we wanted during a peak travel time with scarce availability. It is always nice working with a professional. She got the job done, no drama, no fuss, easy peasy, etc. It was nice having someone else do the work this time! Off we go!